Nike's Market Cap +$6 Billion Since Kaepernick Ad - Joe.My.God. 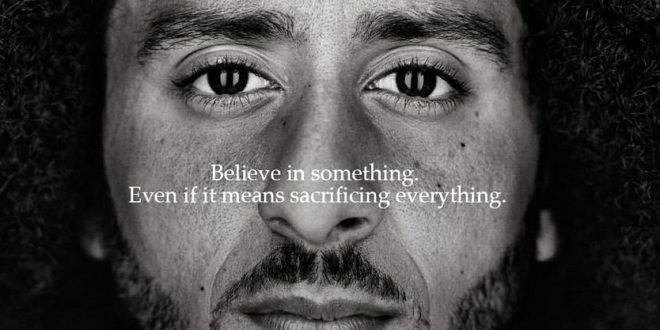 The heat Nike has taken over its controversial advertising campaign featuring former NFL start Colin Kaepernick seems to have had another effect: burnishing the iconic brand’s appeal to investors. Nike shares have surged 36 percent on the year, making the company the top performer on the Dow’s index of 30 blue-chip stocks. The run-up includes a nearly 5 percent increase since Nike’s Labor Day announcement that Kaepernick would be featured in its campaign, adding nearly $6 billion to the company’s market value.